Bed Bugs in a Library? I shared with my colleagues information from a NCompass Live webinar from February 1, 2017 titled, “EGAD! Bed Bugs in the Library?” In this webinar, two librarians from the Bennett Martin Public Library in Lincoln discussed how they addressed bed bug evidence on returned materials. The third panelist was Dr. Jody Green from the UNL (University of Nebraska Lincoln) extension office. Dr. Green provided background information on bed bug biology. Bed bugs are hitchhikers and can hide in upholstery, furniture, carpets, closets and books. Primarily, bed bugs are active at night and feed from human blood every 3-5 days. They detect humans through body heat, carbon dioxide and scent. We learned about standard policies/practices that are currently in place at the Bennett-Martin Public Library. 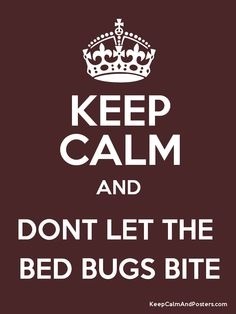 A bed bug committee was initially formed in order to train staff and develop policies/procedures pertaining to bed bugs. Once staff is trained, any materials that are identified as having bed bug evidence are quarantined using plastic Ziploc bags and latex gloves. Books can be placed in a freezer for up to 4 hours or placed in a bed bug oven. As an extra precaution, “Spots,” a bed bug sniffing dog visits the Bennett-Martin Public Library quarterly to sniff the books for bed bug evidence. If he detects any with bed bug evidence, he barks to let his handler know. Fortunately, we have not run across a bed bug problem here at the Freeman Lozier Library. The good news is that now we would know what to do!